Microsoft is now using their new unified technical documentation repository, http://docs.microsoft.com as a central location for links and pointers to all its documentation across various technologies. You will find on Docs.Microsoft.com URLs and links to MSDN and TechNet documentation about Dynamics 365, Microsoft Azure, Visual Studio .Net, Office 365, Xamarian, Bot framework and a lot more. Once you login, you will find two main tabs: Solutions and Developer resources. Under solutions, you will find links to all Dynamics 365 modules: Sales, Customer Service, Field Services, Project Services, Customer Insights, etc. Each module comes with 4 different sections: Get Started, What’s new, Setup & Administration and Onboarding. Under the developer resources section, you will find the same list of modules with 2 different sections for each module: Developers Centre and what’s new for developers. I believe the overall aim is to make docs.microsoft.com the starting point for links to all the standard documentation across all Microsoft technologies. This post discusses 2 Knowledge Management features in Dynamics 365, one new and one old, and the differences between each of them. The new knowledge articles entity data model (KnowledgeArticle) in Microsoft Dynamics 365 enable you to create rich knowledge articles along with versioning and translation support. On the other hand, you can continue to use the legacy / earlier Dynamics CRM Knowledge Base Articles (KBArticle) data model. While you can continue to use the legacy Knowledge Base Articles, it is a good practice and a Microsoft recommendation to use the Dynamics 365 Knowledge Articles as they provide improved capabilities and translation support. In other words, Microsoft has probably left this feature for backward compatibility only but advices new Dynamics 365 Solution Implementations to use the new Dynamics 365 Knowledge Article instead. When you create and publish a knowledge article, it become available to users in your Dynamics 365 instance so that they read and utilised the information in these articles to deliver accurate information to customers and follow the organisation’s processes and guidelines as documented in these knowledge articles. Use the KnowledgeArticle entity to store and manage knowledge natively in Dynamics 365. Go to Settings > Service Management. Under Knowledge Base Management, click Embedded Knowledge Search. In the Knowledge Base Management Settings wizard, in Record Types, select the record types you want to turn on knowledge management for. The list will include all entities that are available for an N:N relationship. Knowledge management is enabled for case entity by default. Under Knowledge Source, in the Knowledge Solution field, select between the Dynamics 365 native knowledge solution. A good place for everyone starting with Microsoft Dynamics CRM or who wants to move into Dynamics 365 domain is the Dynamics 365 Customer Centre. This is aimed as Dynamics 365 Customers including users and advanced users. This is not a Technical or IT professionals focused site as there are other sites dedicated to these subjects. The Customer Centre is literally filled with Dynamics 365 user guides, Dynamics 365 ebooks, Dynamics 365 videos and more. I strongly encourage individuals at an early stage of learning Dynamics 365 to have a look and review the customer centre. 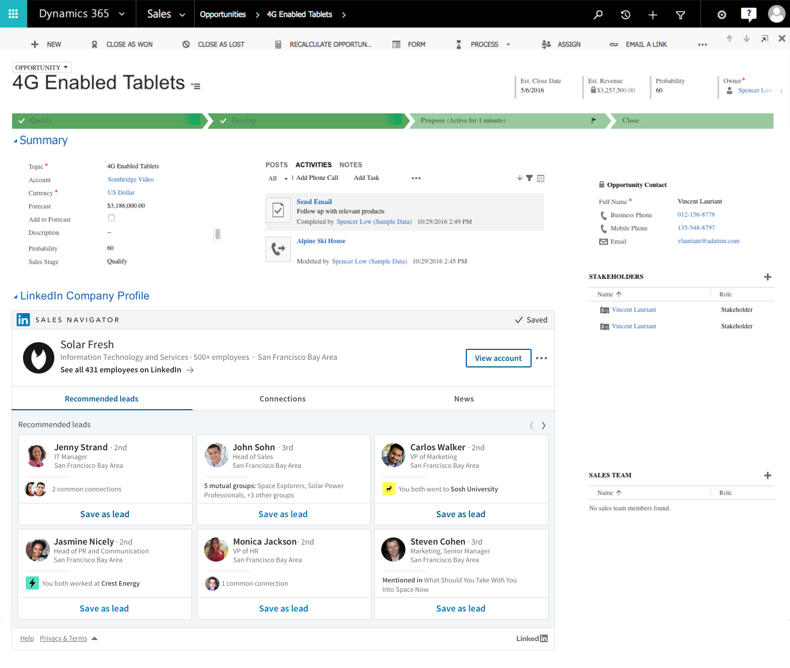 Dynamics 365 Learning Path is a new feature in Dynamics CRM that provides an improved experience over the legacy customisable help in Dynamics CRM. Customisable help allows you to override the Default Dynamics 365 Help with its standard Microsoft CRM content. It allows you to point your CRM Organisation users to a different URL for a customised help experience. Alternatively, you could override the Microsoft CRM Help Content with your own content so you can better describe your processes. On the other hand, Learning Path allows organisations to set targeted help for users when they open a page, click a help button or perform an action. Learning Path is more of a contextual in-app help tailored for your organisation’s business processes as opposed to Customisable help that is more of a static help non-contextual. You could use either of them based on your business requirements but in my view Learning Path is the more modern and flexible contextual help that could deliver more benefits to your CRM organisation. However, please note that you cannot use both Learning paths and Customisable help together – you need to choose one of them to work with. 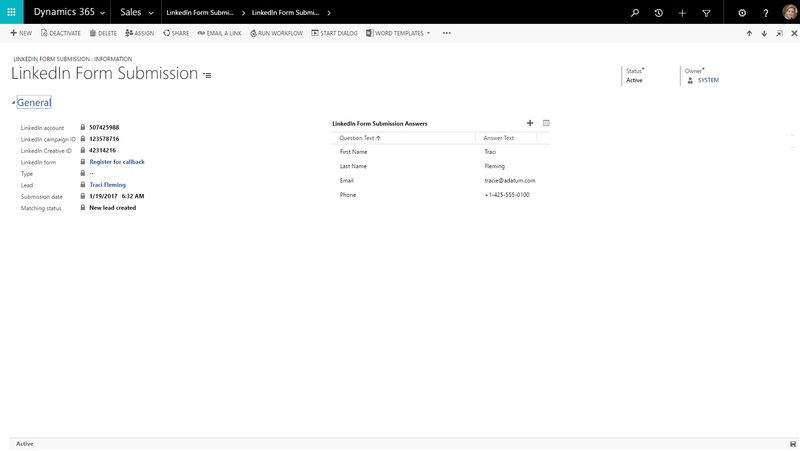 Microsoft has recently released a feature that allows your application to connect securely and seamlessly connect to Microsoft Dynamics 365 Online solutions. S2S authentication is now the standard way that apps registered on Microsoft AppSource use to access the Dynamics 365 data of their subscribers. I found this feature a great addition to help secure .Net MVC applications access to Dynamics 365. With S2S authentication a special Dynamics 365 unlicensed application user account is created and includes information about your application registered with Azure Active Directory (Azure AD). Rather than user credentials, the application is authenticated based on a service principal identified by an Azure AD Object ID value which is stored in the Dynamics 365 application user record. The Dynamics 365 application user is associated with a custom security role which controls the kinds of data and operations the application is allowed to perform. 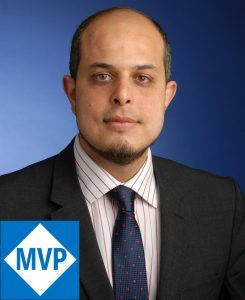 I have found this feature extremely useful and a specially secure way to integrate a number of my Azure hosted .Net MVC portal with Dynamics 365. I have recently changed all my portals to use this feature to benefit from the new functionality. You will need to be careful though as all operations performed by your application or service in this case while using S2S, it will be performed as the application user you provide rather than as the user who is accessing your application. If you want your application to perform data operations on behalf of a specific user, such as the one who is interacting with your application, you can apply impersonation when the custom security role applied to your application service principal has the privileges required. One of the new exciting features in Dynamics 365 is the intelligent product recommendation features in Microsoft Dynamics 365 CRM. Currently, Dynamics 365 product catalog includes some basic modeling ability to link various products for cross-sell / upsell and also accessory recommendations. This is a great feature which several businesses have found extremely useful. However, the limitation here is that these links are hare coded and require someone in your organisation to constantly maintain them and update links between various products on regular basis. At some point, these hard links will expire and will need to be removed and updated, etc. The other challenge is that it is base don assumption that customers who bought product x are also interested in product y. These will be business assumptions and not intelligently calculated linkage between various products. Maintaining these hard links require the constant overhead and complexity of analysing recommendations ranking and imagining all possible combinations of products that can be sold together. 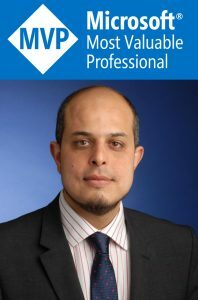 Now Microsoft is offering a much more advanced and intelligent solution that is quite unique amongst CRM system. Microsoft Dynamics 365 can now build the product links based on recommendations which use real-world transactions as a basis for their calculations and links that can evolve over time based on current customers buying trends and without requiring any maintenance overhead. By connecting your Dynamics 365 Solution to Microsoft Cognitive Services (called Cognitive Services recommendations services – which is based on Microsoft Azure Machine Learning), you will have recommendation modeling techniques making recommendations without any manual intervention. Using real-world transactions or interactions to find products that are sold or viewed together, Microsoft Cognitive services will push through product recommendations into your Dynamics 365 solution. Once you add the product recommendation feature in Dynamics 365 a capability is added to the product catalog to generate automatic recommendations. You can set up the product catalog and synchronisation to build a “machine learning based recommendation model” that makes recommendations in a ranked list at various places in Dynamics 365, such as at the account, opportunity or order level. Please note that, Microsoft Dynamics 365 product recommendations feature supports existing line item entities (OpportunityProduct, QuoteDetail, SalesOrderDetail, and InvoiceDetail) and custom line item entities, as well as standard and custom product relationships. The world after WannaCry ransomware attack: Is the Cloud secure enough for your data? With the most recent WannaCry ransomware attack on more than 99 countries with thousands of locked down machines globally, many organisations are asking if their data is more or less secure in the Cloud? It’s a valid question and I personally never try to supress or trivialise clients concerns even if the concern seemed unwarranted or doesn’t have factual basis. On the contrary, I felt that my clients concern about how secure their data in the cloud is very relevant and requires addressing. If we look at the WannaCry ransomware attack on the UK National Health Services (NHS), you will find that most computers affected where machines running old versions of Microsoft Windows, namely Windows XP and some Windows 7 ones. First question that comes to mind is why these machines were not upgraded especially that Microsoft offers significant discounts to the UK public sector organisations. But then to answer this question, we have to go into the politics of the UK government and its spending approach, which is something we won’t cover as I never talk politics on my blog. However, the effect of the WannaCry ransomware attack, has meant that data stored on computers were lost. These could be some simple working files of no significant values but I am sure there were some computers that had information and files of considerable value and only stored on these computers. Now imagine if every one of these machines had a Microsoft OneDrive for Business account (or equivalent cloud storage) where all files stored on the computer were copied instantly to the cloud. In this case, the loss would have been probably nil. The cost of a OneDrive for Business account for a Public or Government organisation is next to nothing (~£1/month). With a copy of all your files are in the cloud, so whether it is a hack, ransomware attach or simply a hardware malfunction, you will always have your files in the cloud. This is a simple example but explains to the regular non-Techie reader how the cloud could have helped in this case. Another example to show the power of the cloud. For any organisation to setup an adequate backup services, disaster recovery and a complete data centre with appropriate data security and unauthorised access protections, it will cost them a lot. It will vary depending on the size of the organisation but for a medium to large organisation, the cost can easily reach the millions of pounds. Now compare that to the assurance and reliability as well as the cost reduction and savings a public cloud offering can deliver to this organisation because of the economies of scale. You will find that organisations are not only saving money, but they are “outsourcing” their data centre to a Cloud Provider, such as Microsoft’s Azure Cloud. In this case, organisations do not have to worry about penetration testing, unauthorised data access precautions or complex data centre security measures, over and above the standard security measures applied by all organisations. So to summarise, my view is that having your organisation in the cloud will save you money and save you a headache of security your data centre from various data security threats by “outsourcing” these responsibilities to your reliable provider who is investing millions to secure their massive Cloud and applying security measures that many organisations cannot afford or would not be able to undertake. Microsoft is presenting that the LinkedIn Sales Navigator integration with Dynamics 365 for Sales enables organisations to improve the performance of their sales processes by taking advantage of the information richness available on LinkedIn’s company and person public profiles. As I’m sure you must have heard, LinkedIn data is the Golden Dust everyone wanted and only Microsoft managed to get (which made SalesForce really annoyed). This direct integration between Dynamics 365 and LinkedIn is surely just the first step in a number of enhancements, capabilities and features that will massively differentiate and advance Dynamics 365 over and above Saleforce and other competitors. This capability is promising to bring LinkedIn data such as company and person public profiles across to Dynamics 365. You can imagine how many beneficial uses such feature can bring from data cleanliness to data enrichment to competitor advantage due to data and relationship knowledge that your organisation will have while integrating Dynamics 365 with LinkedIn. Display Sales Navigator person and company information on every Dynamics 365 for Sales lead, contact, account and opportunity page. This is just the start but I guess everyone will agree there is a lot more expected including the ability to bring in LinkedIn information into custom Dynamics CRM entities as well. Automatically perform daily updates between systems so the accounts and contacts sales reps are actively working on in Dynamics 365 for Sales are saved to Sales Navigator. In addition, sales reps can see in Sales Navigator what people and companies are already saved in Dynamics 365 for Sales, and vice-versa. Again an excellent feature that could make real difference to many organisations and sales teams. With a single click, write select Sales Navigator activities (InMails, messages, notes and call logs) to Dynamics 365 for Sales providing better communication, connectivity and full 360 degree view of customers including your communication through LinkedIn messages and InMails. 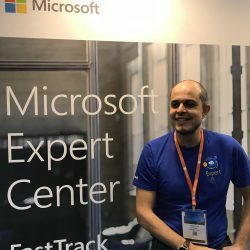 Personally, I think this connector is a winner and will massively differentiate Dynamics 365 way above its competitors such as Salesforce. I have been in CRM selection meetings where clients are already finding it a “no-brainer” to choose Microsoft Dynamics 365 just for the sole reason of having LinkedIn data in their CRM system. With that said, we expect a lot more from Microsoft when it comes into LinkedIn integration with Dynamics 365. Most recently, Microsoft announced the improved integration between Microsoft Dynamics 365 CRM and LinkedIn. 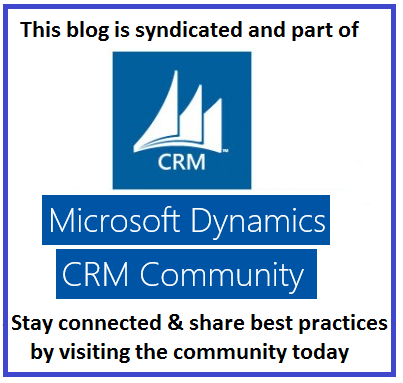 Now on the public Dynamics Roadmap, you can see more details about the Dynamics 365 connector for LinkedIn Lead Generation forms. Using this upcoming feature, we will be able to bring our LinkedIn leads into Dynamics 365 (online / cloud) to follow-up and nurture these leads as well as applying your CRM Sales processes onto them. This also means you can bring in your sales and marketing teams to qualify, develop and nurture these leads. Support for multiple LinkedIn member accounts: You will be able to setup your Dynamics 365 organization to access and bring leads from campaigns run by multiple employees using different LinkedIn member profiles. Ability to customise lead creation and matching: We should be able to configure how lead submissions captured on LinkedIn are associated with and updated on Dynamics 365. Measure and Analyse leads performance across multiple sources: This includes to track and analyse the performance of leads captured on LinkedIn versus other sources. Microsoft also noted that the LinkedIn integration app is useful only if you use the Lead Gen Forms capability of LinkedIn to capture leads on LinkedIn. 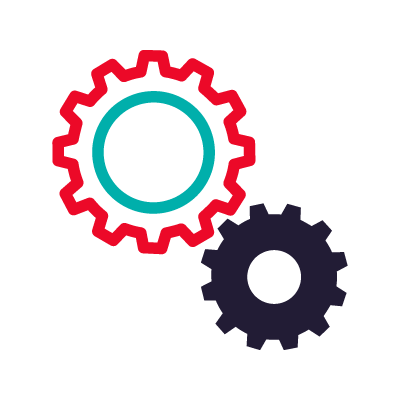 The Dynamics 365 connector is promised to be available as a separate standalone solution which can be installed from AppSource optionally onto your Dynamics 365 for Sales. The connector will be bundled by default with Dynamics 365 for Marketing (Business Edition). Microsoft Dynamics 365 Sales AI (Sales Artificial Intelligence) Navigation Link Disappears / cannot be found!